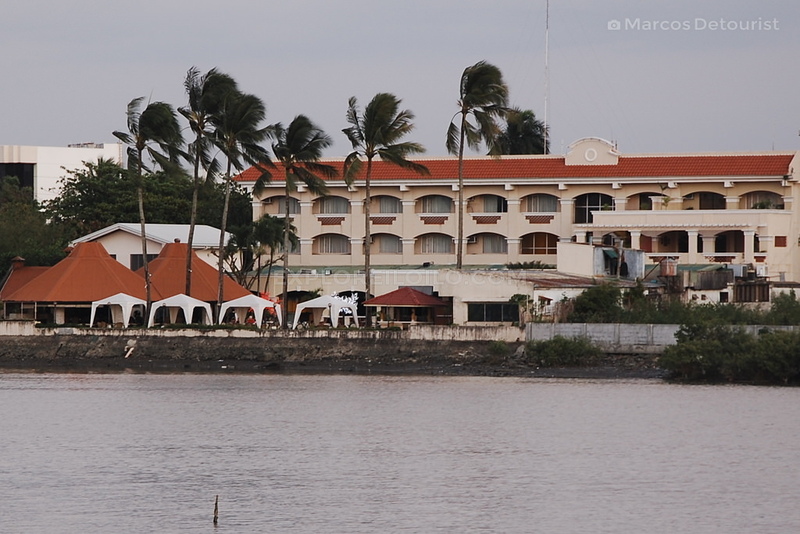 Hotel Del Rio, situated in Molo District, is one of Iloilo City’s seasoned first class hotels. 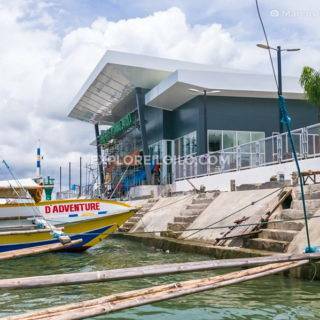 They have a small pool and a bar in the back that faces a scenic view of the Iloilo River and Iloilo River Esplanade. Guests rate the hotel highly for their relaxing ambiance, excellent service, delicious buffets at great value for money. Hotel Del Rio can be easily found along M.H. Del Pilar Street, one of the main streets in the city, near the boundary of Molo and City Proper Districts. It stands right in front of John B. Lacson Foundation Maritime University and is quite near the “Stoplight” intersection, where M.H. Del Pilar Street meets with Diversion Road (Benigno Aquino Avenue), General Luna Street, and Infante Street. If traveling from the Iloilo Airport or along Diversion Road, turn right at “Stoplight” after crossing Diversion Road Bridge. The hotel is around 230 meters away on the right side of the road. 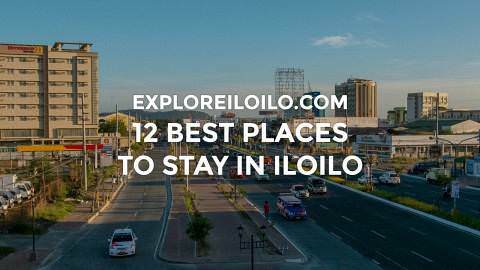 Passing by the front of the hotel are jeepney routes that loop around Molo, Arevalo, Iloilo City Proper, Mandurriao, and Oton including Villa Arevalo / Villa Beach, Molo Mandurriao, and Molo Baluarte, Oton Anhawan, and Oton Derecho. More jeepney routes to Mandurriao, Jaro, Leganes, Pavia, and Santa Barbara can be found at the “Stoplight” intersection, a 3-minute walk away, including SM Mandurriao, City Proper, Ungka UI Diversion Road, Leganes Hi-way, Pavia Hi-way, and Santa Barabara Hi-way. Hotel Del Rio’s location near Diversion Road provides easy access to the Iloilo Airport. By taxi or private car, travel time takes around 25 to 30 minutes. Commuters can also ride a jeepney from Stoplight to SM City Mall (5 minutes), where shared van shuttles to the Iloilo Airport are stationed. Discover more blogs and travel tips in Molo. The hotel is great,I stayed at the Hotel before the hotel is great but no elevators. The food is great and the staff is very friendly I like the barbecue.